From our kitchen to yours, we share our tradition of healthy, home-style Indian cooking with you! With Arvinda's signature masalas, cook delicious, mouthwatering Indian curries from scratch or use them to add Indian flavours to your everyday cooking including soups, dips and raitas. Arvinda's is also incredible as a rub for meat, poultry, fish, paneer and vegetables. Simply mix with oil, add salt to taste (and lemon or lime juice) to create a paste...and a delicious Indian marinade awaits! Below is a delicious collection of our favourite home-style recipes and Indian restaurant favourites you will love to make at home. Enjoy! Creamy, aromatic and supremely delicious, Mattar Paneer has it all! This North Indian curry of Indian pressed cheese enrobed in a beautiful tomato and cream curry sauce is satiating to the palate all in a wholesome indulgence. Serves well with rice and naan and is truly a vegetarian's heavenly pleasure! Also know as Palak Paneer, this is Popeye's favourite curry. It’s jam-packed with fresh, finely chopped spinach and cubes of paneer (Indian pressed cheese) enrobed in a curry sauce. 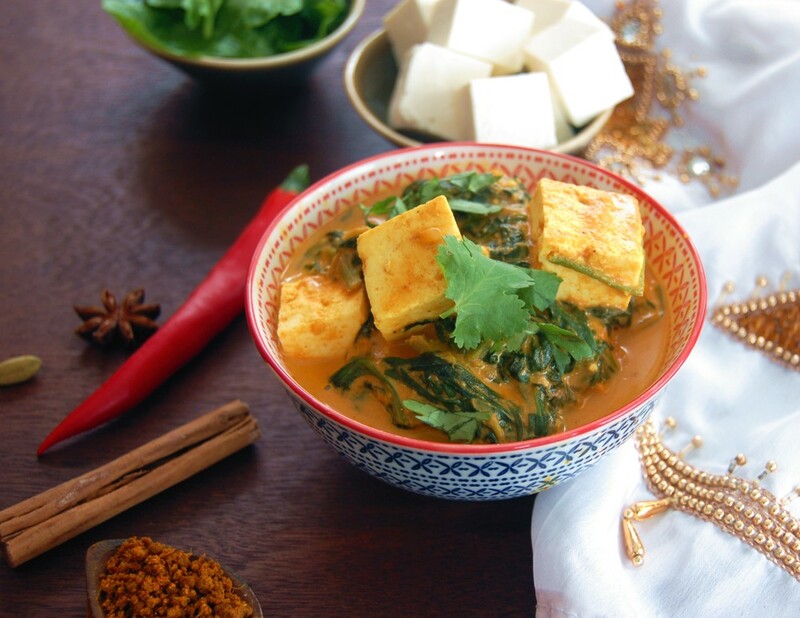 This curry gets you more than your daily dose of greens. Serves well with basmati rice. One of India's most decadent vegetarian curries is Shahi Paneer, a deliciously aromatic curry, delicately enrobing paneer, an Indian pressed cheese. Serve with naan and a jeweled pullao for a feast of the senses! Masala Chai is India's most favourite beverage enjoyed at any time of the day. Masala Chai is a black tea infused with aromatic, warming spices such as cardamom, ginger and cinnamon boiled with milk and sugar. With Arvinda's Chai Masala, make Masala Chai the authentic way by boiling water and tea in a pot, infusing it with spices, milk (and sugar), and bringing it to a frothy concoction of heavenly indulgent bliss. Serves well after dinner as a warm dessert beverage, leaving your guests blessing you with showers of praise! Celebrate the holiday season with a decadent jolly cup of Masala Chai with notes of cinnamon, cloves and orange. It’s the perfect beverage to warm up with after a day of winter fun or besides the fireplace with loved ones. We like it sweetened with sugar so it’s decadent enough to be served as a dessert beverage after a delicious meal. A vegetarian Indian delight! Earthy chick peas (garbanzo beans) immersed in an aromatic tomato and onion curry sauce. This recipe is a tangy and sweet version that pairs best with basmati rice or naan. Leftovers are ideal on top of a salad with a raita yogurt dressing or stuffed into a wrap or pita pocket for a quick lunch. Channa Masala is quick enough to prepare so that it can easily make its rounds in your repertoire of weekly meals. If you say you don't like cauliflower, then you haven't tried Aloo Gobi! Hailing from northern India, this classic vegetable curry can be made dry (without tomatoes) or with tomatoes in a curry sauce. Our version is the dry option and pairs as a delicious side to any Indian meal. A restaurant staple and a "go-to" for vegetarians and yogis alike, our Channa Masala is mildly spiced elevating chick peas to a level of flavour bliss. This recipe using Arvinda's Channa Masala results in a North-Indian style chick pea curry with hints of cumin and ginger. Stuff into a pita with fresh greens, tomatoes and a mild garlic mayonnaise sauce to make it a family favourite. Looking for the ultimate Indian comfort food? Well this dal is it. Our most loved lentil curry is super easy to prepare and will always please and satisfy, lending you the comfort you crave on colder days. Serves best with fresh, warm chapatis and with basmati rice. Hint, turn leftover dal into a hearty curried lentil soup. Butter Chicken is one of Indian cuisine's most popular curries and it is through this dish that many people discover and learn to love Indian food. Children enjoy it too! Arvinda's Butter Chicken Masala is a beautifully scented blend that makes for a flavourful and delicious Butter Chicken … some people say it’s better than any restaurant take-out! This aromatic tomato based curry is so popular that it's also known as CTM for short! Make this delicious restaurant favourite with ease in your own home using Arvinda's Tikka Masala. Try with paneer, an Indian pressed cheese, for a vegetarian substitute. For the Indian food lover that likes it hot, Vindaloo is the curry that hits the spot! Vindaloo's origins are from exotic Goa, known for its worldly collision of flavours and cooking traditions from India and Portugal. This hot, spicy, mildly sweet and sour curry is best suited with chicken or pork, however you may try it with paneer for a vegetarian option. Serve this mouth-watering curry with your favourite Indian flatbread and rice! 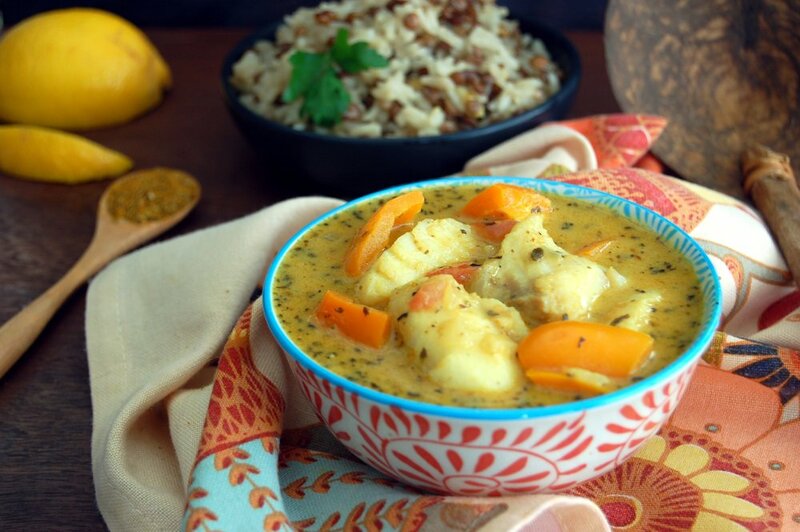 Make this decadent, mouthwatering coconut curry as it would be served on the coastal regions of India's South. Coconuts and curry leaves paired with Arvinda's Madras Masala makes this a peppery curry that will trump any seafood lovers most favourites list! Gluten-free and dairy-free. Reigning from South India, this tangy, spicy curry with a touch of sweetness is just the right thing for those who aren’t afraid of heat. This recipe also works well with lamb, shrimp or paneer so you can try it four different ways. Often served in restaurants on a sizzler platter with vegetables, Chicken Tikka is dish of skinless, boneless chicken pieces marinated in a spiced yogurt marinade and cooked over hot coals or in a tandoor, a clay oven. Try it on your barbecue! 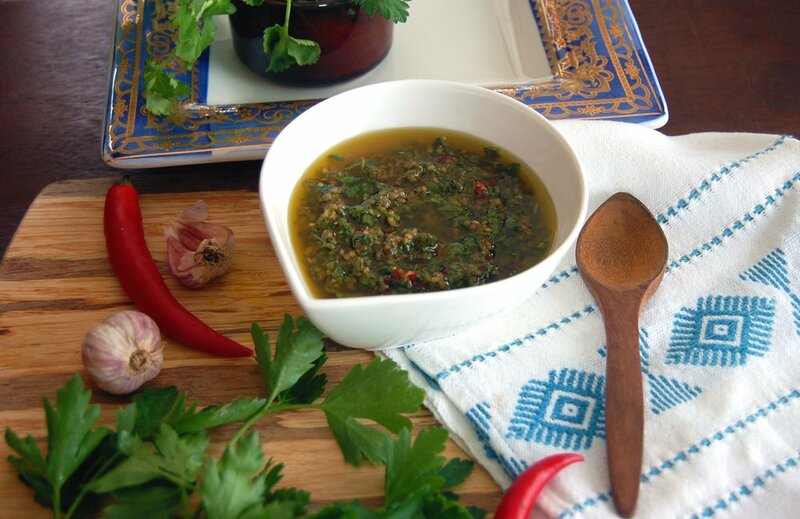 Serve on a bed of basmati rice with raita or with coriander chutney as an appetizer. Stuff into a pita or wrap with lettuce, tomatoes and red onions for a healthy lunch. Yum! 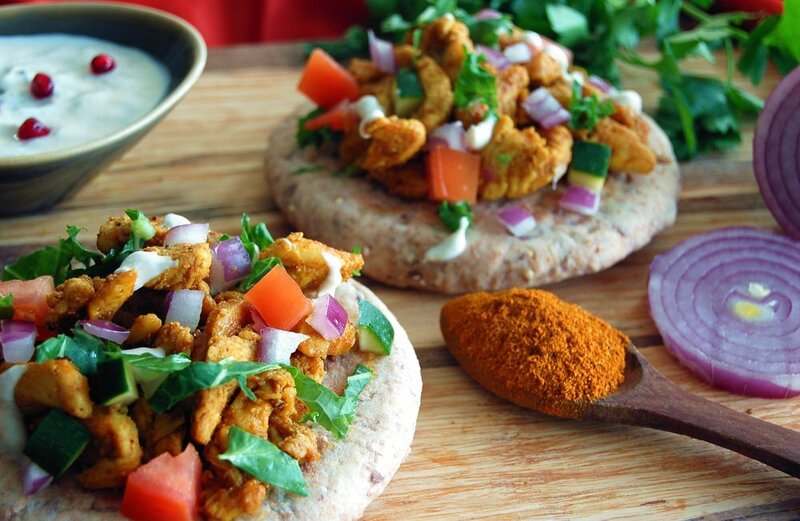 Use Arvinda's Tandoori Masala to make the ever-popular Tandoori Chicken. Bake in the oven or cook on the barbecue grill (even better!) and serve with naan and raita for a delicious, healthy meal. Vegetarian Alternative: Try tandoori paneer ... it's a great match! Every culture has their heart-warming meal where family gathers together to enjoy a relaxing weekend favourite. One such meal within Indian homes is a classic Chicken Curry served with warming chappati or paratha and fragrant basmati rice. Flavoured with nutmeg and cinnamon, this Chicken Curry lovingly made from scratch will be your new family tradition. Savour one of India's most beloved street foods made with Arvinda's Kebab Masala, served with raita and coriander chutney. Stuff into a pita with garlic mayo sauce or make into burgers for your next BBQ, these incredibly delicious and flavourful kebabs are guaranteed to be hit with family and friends! No other Indian meal conjures the romantic mysticism of this storied land than Biryani. This timeless classic of succulent chicken (or mixed vegetables) simmered in spices and layered with beautifully aromatic, jeweled basmati rice is one of the most magnificent ways to enjoy the best of India's spectacular cuisine. A meal-in-one for all to celebrate!